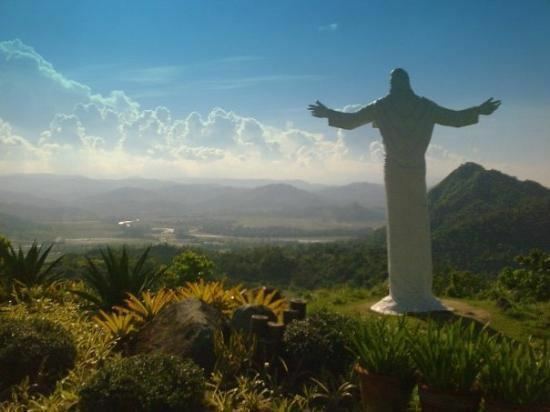 Tarlac (Kapampangan: Lalawigan ning Tarlac; Pangasinan: Luyag na Tarlac; Ilocano: Probinsia ti Tarlac; Tagalog: Lalawigan ng Tarlac) is a landlocked province located in the Central Luzon region in the Philippines. It is bounded on the north by the province of Pangasinan, Nueva Ecija on the east, Zambales on the west and Pampanga in the south. The province comprises three congressional districts and is subdivided into 17 municipalities and one city, Tarlac City, which is the provincial capital. The province is situated in the heartland of Luzon, in what is known as the Central Plain covering the provinces of Region III and Pangasinan. Tarlac covers a total land area of 305,345 hectares (3,053.45 km2). Early in history, what came to be known as Valenzuela Ranch today was once a thickly forested area, peopled by roving tribes of nomadic Aetas who are said to be the aboriginal settlers of the Philippines, and for a lengthy period, it was the remaining hinterland of the Central Plain of Luzon. Tarlac is the most multi-cultural of the provinces in the region for having a mixture of four distinct groups, the Kapampangans, Pangasinans, Ilocanos and Tagalogs. 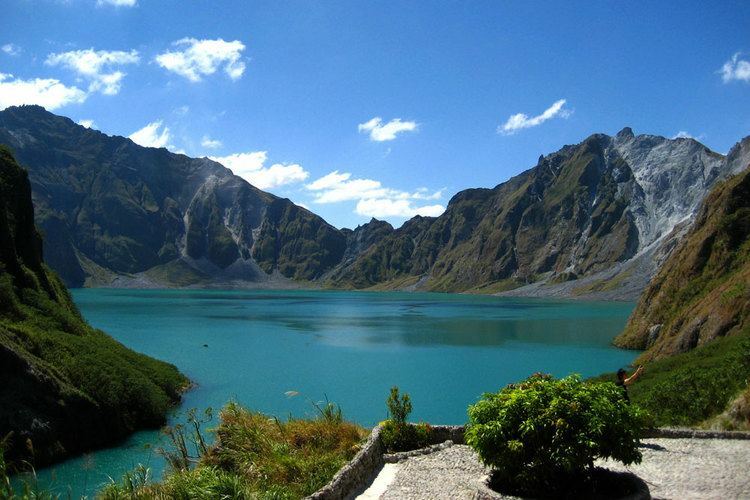 It is also known for its fine food and vast sugar and rice plantations in Central Luzon. Tarlac's name is a Hispanized derivation from a talahib weed called Malatarlak. Tarlac was originally divided into two parts: the southern division belonging to Pampanga and the northern division belonging to Pangasinan. It was the last province in Central Luzon to be organized under the Spanish colonial administration in 1874. During the Philippine Revolution of 1896, Tarlac was among the first eight provinces to rise against Spain, alongside neighbouring Pampanga. It became the new seat of the first Philippine Republic in March 1899 when General Emilio Aguinaldo abandoned the former capital, Malolos, Bulacan. This lasted only for a month before the seat was moved to Nueva Ecija in Aguinaldo's attempt to elude the pursuing Americans. On October 23, 1899, Gregorio Aglipay, military vicar general of the revolutionary forces, called the Filipino clergy to a conference in Paniqui. There, they drafted the constitution of the Philippine Independent Church. They called for the Filipinization of the clergy, which eventually led to a separation from the Roman Catholic Church in the Philippines. Tarlac was captured by American forces on November 1899. A civil government was established in the province in 1901. During World War II, Camp O'Donnell in Capas became the terminal point of the infamous Bataan Death March of Filipino and American soldiers who surrendered at Bataan on April 9, 1942. Many prisoners died of hunger, disease and/or execution. The general headquarters of the Philippine Commonwealth Army was established from January 03, 1942 to June 30, 1946 and the 3rd Infantry Regiment of the Philippine Constabulary was founding again from October 28, 1944 to June 30, 1946 and military stationed in the province of Tarlac and some parts in Central Luzon due to Japanese Occupation. Local troops of the Philippine Commonwealth Army units has sending the clearing military operations in the province of Tarlac and Central Luzon from 1942 to 1945 and aided them by the recognized guerrilla groups including Hukbalahap Communist fighters and attacking Japanese Imperial forces. But in the aftermath, some local guerrilla resistance fighters and Hukbahalap groups are became retreating Imperial Japanese troops around the province and before the liberation from the Allied forces. In early 1945, combined American and Filipino military forces with the recognized Aringay Command guerillas liberated Camp O'Donnell. The raid in Capas resulted in the rescue of American, Filipino and other allied Prisoners of War. From January 20, 1945 to August 15, 1945, Tarlac was recaptured by combined Filipino and American troops together with the recognized guerrilla fighters against the Japanese Imperial forces during the liberation and beginning for the Battle of Tarlac under the Luzon Campaign. Recently, the Philippine Army has used Crow Valley in the borders of Barangay Patling and Santa Lucia in Capas, Tarlac as a testing ground for both Philippine forces and allies. Many of the Philippine military testings were done on March 17, 2006 most likely as a part of Operation Enduring Freedom - Philippines. The landlocked province is situated at the center of the central plains of Luzon, landlocked by four provinces: Pampanga on the south, Nueva Ecija on the east, Pangasinan on the north, and Zambales on the west. The province covers a total area of 3,053.60 square kilometres (1,179.00 sq mi). Approximately 75% of the province is plains while the rest is hilly to mountainous. Tarlac is subdivided into 17 municipalities and 1 component city, all encompassed by three congressional districts. There are a total of 511 barangays comprising the province. The 17 municipalities and 1 city of the province comprise a total of 511 barangays, with Cristo Rey in Capas as the most populous in 2010, and Malonzo in Bamban as the least. Like the rest of Central Luzon, the province has three distinct seasons: summer from March to June, monsoon rain from July to September, and monsoon winter from October to February. Summer months, especially during May bring frequent, sometimes severe, thunderstorms with high winds, thunder, and hail. It is the coldest province in the region, with a yearly average of 23 °C (73 °F). Cold snap is not common, which gradually receives unusual average temperature of 17 °C (63 °F), while maximum daytime peaks 27 °C (81 °F). The lowest temperature ever recorded is 11.2 °C (52.2 °F) and the highest temperature at 38.8 °C (101.8 °F). The population of Tarlac in the 2015 census was 1,366,027 people, with a density of 450 inhabitants per square kilometre or 1,200 inhabitants per square mile. The predominant ethnic groups are the Kapampangans that mainly predominate the southern portion of the province and the Pangasinans that mainly predominate the northern portion of the province. Both ethnolinguistic groups intermingle together in the capital city. Ilocanos and Tagalogs constitute a considerable minority in the province. Kapampangan and Pangasinan are both mainly used throughout the entire province, as well as Ilocano and Tagalog. Ilocanos and Tagalogs however, speak their respective languages with a Kapamapangan/Pangasinan accent, as descendants of Ilocanos and Tagalogs from the first generations who lived in the province learned Kapampangan and/or Pangasinan. English is widely understood as well. Spanish influence is very visible in the province as shown by religious adherence. Roman Catholicism is professed by 83% of the population. Aglipayan is an important minority religion while some other Christian groups are also present. 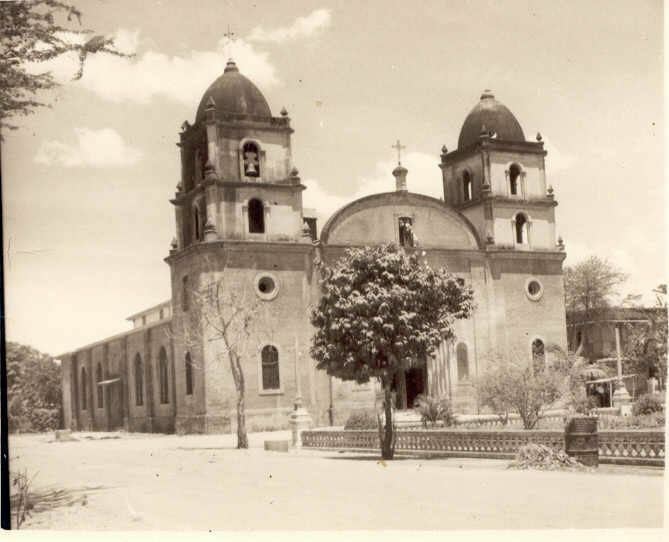 The St. Michael Archangel Parish Church was the oldest religious structure in the entire province until it was burned in 1997. The economy of Tarlac is predominantly agricultural. It is among the biggest producers of rice and sugarcane (the principal crops) here in Central Luzon. Other major crops are corn and coconuts, fruits (bananas, calamansi and mangoes) and vegetables (eggplants, garlic and onions). Because the province is landlocked, its fish production is limited to fishpens, but it has vast river systems and irrigation. On the Zambales boundary to its west, forest land provides timber for the logging industry. Mineral reserves such as manganese and iron can also be found along the western section. Tarlac has its own rice and corn mills, sawmills and logging outfits. It has three sugar-refining centrals and hosts many sugar products in Central Luzon, especially the Muscovado sugar of the municipality of Victoria. Other firms service agricultural needs such as fertilizers. Among its cottage industries, ceramics has become available because of the abundant supply of clay. Some of the major industries here involve making are chicharon (pork skin chips) and iniruban in the municipality of Camiling and Ilang-Ilang products of Anao. Tilapia production is also improving in Tarlac, with an aim to make the province the second "Tilapia Capital of Central Luzon" after its mother province, Pampanga. Belenismo sa Tarlac was launched by Isabel Cojuangco-Suntay, sister of former Ambassador Eduardo Cojuangco Jr., to transform the province into the Belen Capital of the Philippines. The Belen Festival began in September 2007, with the first Belen-making workshop conducted on December 16, 2007. Organizers have intended the festival to become an annual event in the province. Senator Loren Legarda led the awarding of the first Belen-making competition where Tarlac PNP Office Belen, built by at least 24 policemen, won the first prize. Belenismo in Spanish means the art of making Belen, a representation of the Nativity scene in which the Holy Family (Joseph, Mary and the infant Jesus) is visited by the three wise men who came to the manger through the guidance of a star. The Malatarlak Festival, celebrated every January in Tarlac City, is one of the most remarkable festivals in the province. In 2011, the City Mayor then changed the name of the festival to Melting Pot Festival, but it is still remembered by its former name. 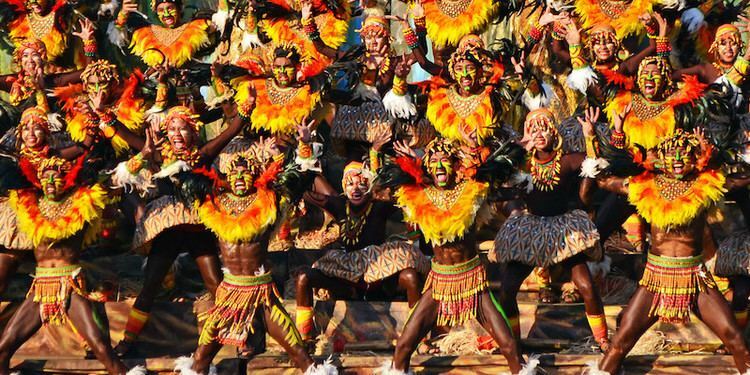 The festival is a commemoration to the first people who built civilization in the province, the Aetas. It is a festivity that is yearly celebrated in the town of Camiling during the last week of October. It is intended as a preparation for All Saints' Day and a Thanksgiving Celebration for the good harvest and for the good quality of meat products especially the chicharon or Bagnet. It also features the exotic and delicious rice cake Iniruban, as called by Ilocanos. The festival's highlights are the street dancing competition, Miss Iniruban beauty pageant, and the municipality's agri-trade. It is the oldest cultural celebration in the province introduced in 2000. The highest seat of political power of the province is located at a hill in Brgy. San Vicente, Tarlac City. The present structure was finished in 1909. During the Japanese occupation, the provincial capitol was vacated and used as the provincial headquarters of the Imperial Army. The capitol suffered great damages during the Second World War, but afterwards, in 1946, the United States of America helped rebuild and improve its structure. Because of its historical background, the picture of the capitol façade appeared in the previous version of the 500 peso bill.